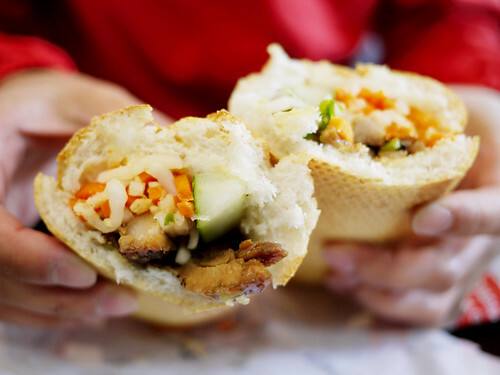 I think you know when you see banh mi for lunch, it means we needed a quickie. And quickie it was. We split one grilled chicken and one grilled pork. I don't know if it was because I kept looking at my watch but somehow I found neither particularly appealing.